Interesting Facts about White Lions | Do You Know? although this is likely to change after the genetic research undertaken by the Global White Lion Protection Trust reveals important reasons for sub-speciation of this rare phenotype. 7. In 2004, after 12 years of technical extinction of the White Lions in their ancestral homelands, the WLT commenced its reintroduction program. Today, the organization has successfully reintroduced 3 prides of integrated White Lions to free-roaming conditions in their natural endemic habitat. 11. White lions were, at one time, occurring in the wild, but today they are only found in zoos, animal shows, or animal studying facilities. They are kept in an environment similar to the one they would have in the wild, which is like an African savanna. 12. There were four white lion cubs born in 1998. They were extremely unique because they were born to two tawny colored parents, who had no know white lion gene history. 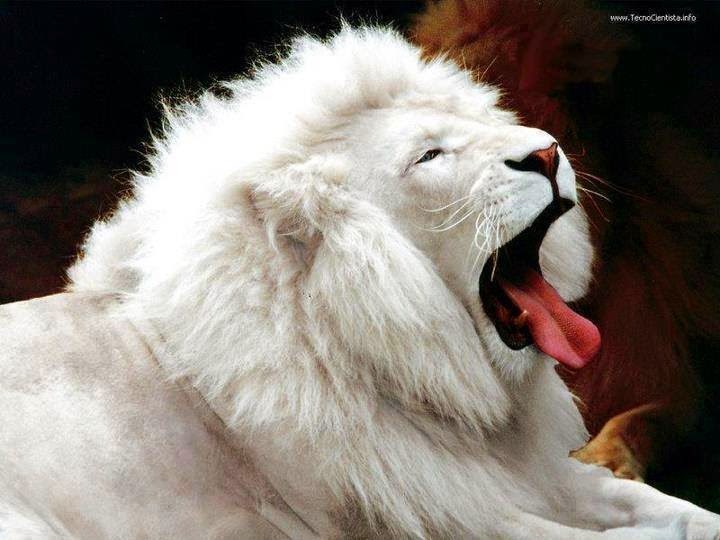 It is rare for a white lion to occur naturally, since it has been though for that gene to be a recessive one, so usually only one of the offspring turn out to be white. 13. White lions are unique for their white coat. You may come across white variants of various animal species. They include white rabbits, white squirrels, white giraffes, etc. White coat color in animals could be due to a congenital disorder called albinism, which causes complete or partial loss of melanin in the eyes, hair and skin. 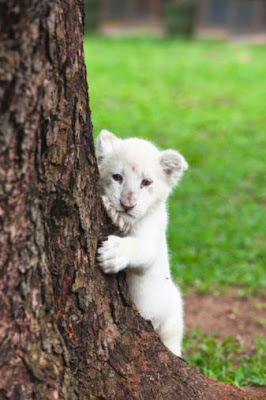 Unlike albino lions, white lions have normal-colored eyes, lips, and paw pads. Just like the ordinary lions, white lions too have a golden to yellowish-brown eye color. 14. The white coat color of these lions is often attributed to a genetic condition called 'leucism'. It is said that such hair color is due to chinchilla mutation. This mutation results in deposition of lesser amounts of pigments along the hair shaft, resulting in a paler coat. 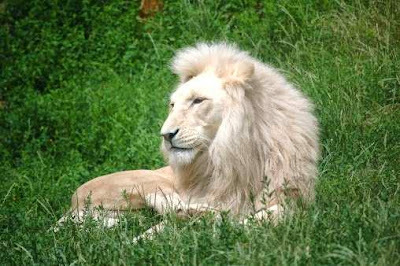 So these lions may have a coat color that ranges from pale blond to almost pure white. 15. Did you know that the African people used to believe that white lions are messengers of God and they represent purity and enlightenment? It was believed that disrespect to these animals will result in the wrath of God.